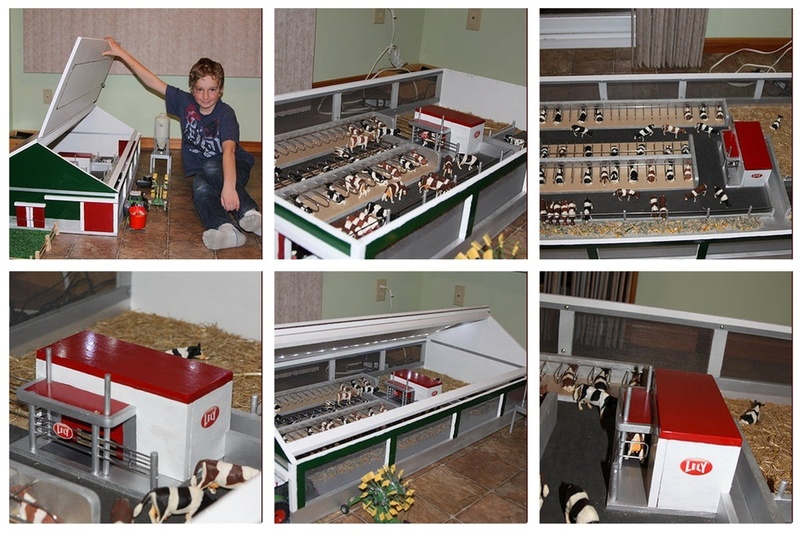 On this Wordless Wednesday, we want to share some photos of an amazing Christmas gift that Cor and Attie Bergsma from Embro, Ontario made for their eight-year-old son, Hedzer Bergsma. Hedzer saw a barn in a magazine that he really wanted. Cor and Attie discovered it was sold out when they went to the store, and just two weeks before Christmas. So, they decided there was only one thing left to do, build Hedzer a custom Lely Barn! The couple spent more than 35 hours working on the 59 stall robot barn. The outside dimensions of the barn measures approximately 2’ by 4’. They built it to 1:32 scale, so it could accommodate the use of most farm toys. It also has a remote control tractor that fits inside the barn. We want to thank the Bergsma Family and Lely Center Woodstock for sharing these photos with us.